Edit: yeah, “years late” is appropriate; turns out it appeared in 2007, but hey! The author has a post your comments post, where you can post your comments. So (assuming you read it and have comments), do that! 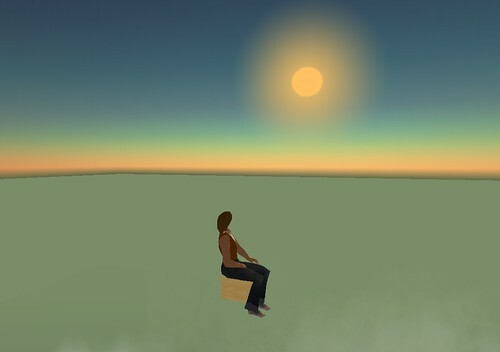 The official week of Burning Life is nearly over for the year, but I think the sims and many builds will be up for another week, so here’s some more pictures of fun stuff. This time it’s all about things to delight your inner child, courtesy of the SL Kids. a wonderfully scary performance of a classic Japanese ghost story by folks from the Amatsu Shima Okiya school. 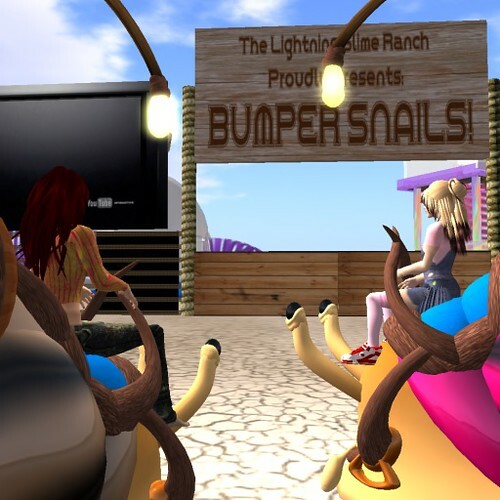 the Lightning Slime Ranch Proudly Presents: Bumper Snails! Camp by Wolveli Kas (that’s her on the right), wonderful free snails by Flea Bussy of Grendel’s Children. 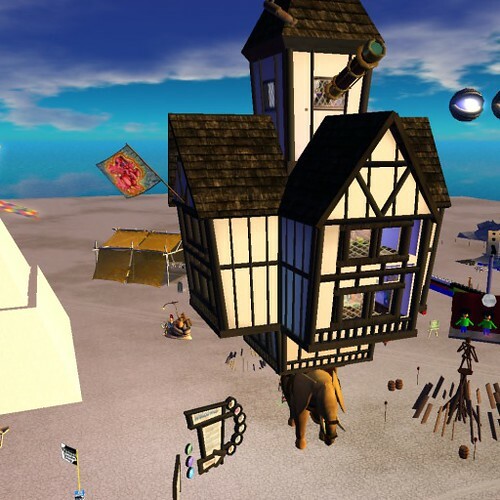 And there’s a great “Avatar Run” next door, also by Wolveli, with tubes and a maze and an elevator and prizes! (B) While I am assured by a mutual friend :) that the people in the podcast are really a bunch of perfectly nice people just sort of fooling around, they actually come off as sort of obnoxious jerks; my theory is that this is because people often feel free in a podcast to say whatever the heck pops into their head (and it seems to be against the cultural tradition to do multiple takes or editing or anything), whereas in text weblogs people do proofread and edit and have second thoughts and stuff. But so anyway. One of the discussors (discutants? is that a word?) in the debate was ol’ Crap Mariner, who I’d been vaguely aware had a podcast thing of some sort, an’ Crap mentioned that he has a short attention span too :) and that his podcasts are like under two minutes long and that sounded good, so (after a surprising amount of searching about) I came upon Crap’s 100 word stories, which is pretty fun. I admit I still prefer reading the tiny stories to listening to them, for whatever reason. But the general idea is neat, and they do fit inside my tiny podcast patience, so I can listen to them and feel myself somewhat less podcast-ignorant. And Crap also has this fun weekly thing were there’s a theme / topic / prompt, and people are invited to compose and record their own 100 word stories on the theme and send them in, and one of them gets chosen as the winner (through I process I don’t really understand) and the winner gets to choose the topic for next week, and all of the submitted stories get put together with Crap commentary and posted as a podcast itself. I wrote a 100 word story, and recorded myself reading it. and sent the file to Crap, with the result that my actual voice appears in it. And not too long in, since I think I was like the 3rd story, and Crap didn’t start seriously wandering off on tangents in his commentary and talking to his cats and stuff until about story 5 hahaha.